Thank you, Warminster PA ShopRite! ...and what does that equal? Online shopping! I've even found a local grocery store where I can shop completely online and they have a list of every product in their store, you choose a pick-up time and your things will be picked from the shelves, bagged and kept waiting for you (in refrigerator or freezer, as appropriate) until you drive up to the door and it's loaded into your trunk!! Man, who knew!? Yes, there's a fee ($10), but what a time saver for those weekly shopping trips!!! Groceries ... and craft items, oh and things for the grandbaby (YAY! Swing Set!! ), that's all I buy these days. 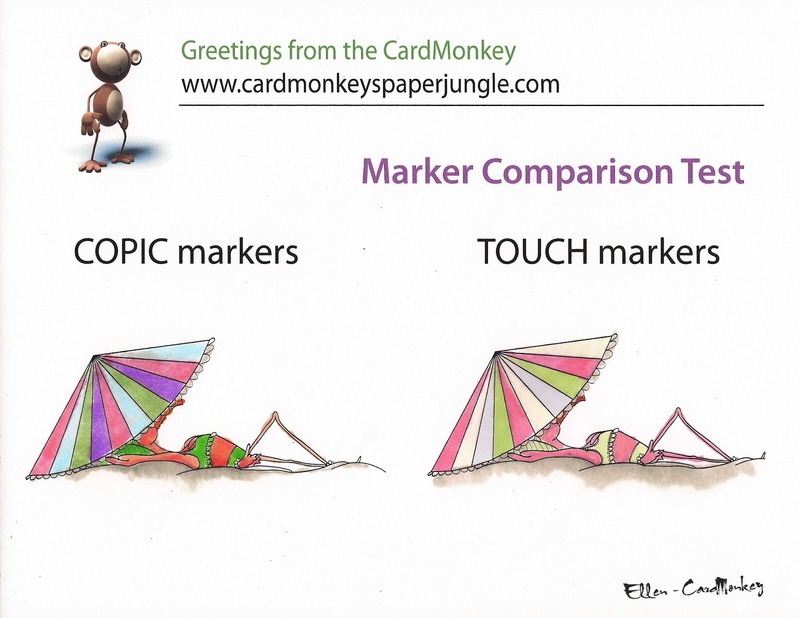 This led to my newest video, posted below: a comparison between Copic Markers and the cheaper alternative, Touch Twin markers by ShinHan Art Materials. You're going to have to watch the video for the complete deets but (spoiler alert! ), here's the bottom line: Touch Twin ... two monkey thumbs up and a new addition to my Top Bananas list! Recommendation on a buy from Jerry's Artarama, where Touch Twin markers are now just $1.89 each! Yes, copic ciao are refillable, I do own them and refill them, I already went 2 refill bottles on my r00.